We do not monitor, retain, or log any of your activities while using WiFi Security. 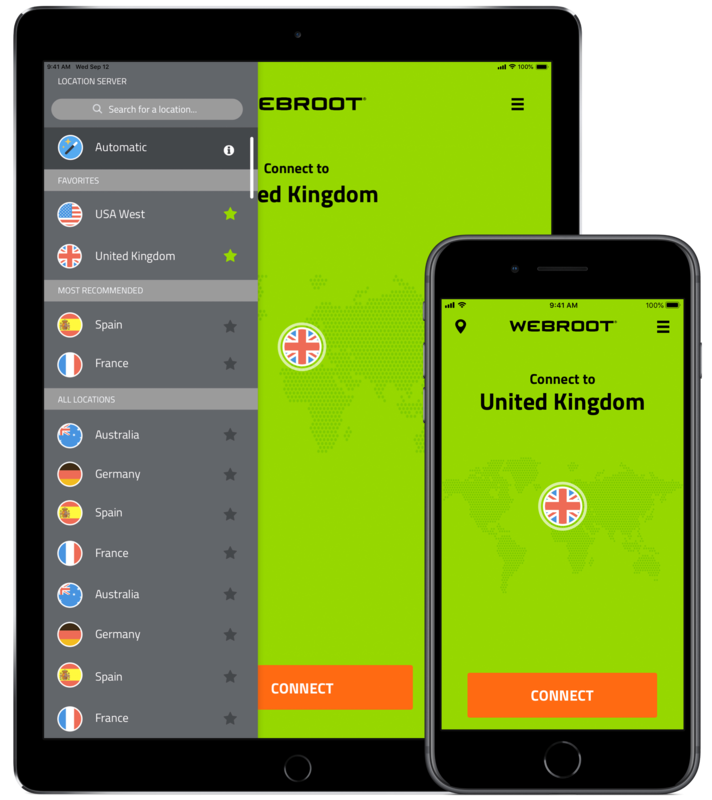 Whether you’re shopping online, managing financial or social media accounts, or sharing photos with family and friends, Webroot WiFi Security protects your connection from malicious hackers, ISPs, targeted ads, and others who try to spy, track, or intercept your data. Read our blog post to learn more about VPNs and how Webroot WiFi Security can keep you safe online. You may think you don't need a VPN if you have antivirus or antimalware software, or vice versa. But to stay safe, you need both. Antivirus or antimalware software is a program that you install on your computer, tablet, or smartphone to protect you from viruses, worms, and other malware that could infect your system. Depending on the kind of protection program you use, it can also protect you from going to bad websites that could try to download viruses onto your computer or mobile device. Some antivirus programs also include further features, like system optimization to make your computer run faster, or backup functionality to back up your important files and pictures. A VPN protects your actual connection to the internet. Think of browsing the web like you're on a road trip. If you were driving on the open road, anyone watching could see where you went, how you got there, where you stopped on the way, and more. But if you drove the whole way through your own PRIVATE system of tunnels that no one else could use, then nobody could spy on you. That’s what Webroot WiFi Security does. It stops cybercriminals and other peeping toms from spying on everything you do on the web, so they can’t track or intercept your data.